Culture Affairs Minister A K Balan said the delegate fee of Rs 2000 will be paid by everyone, including him, and added that students will be given concession at the rate of Rs 1,000. 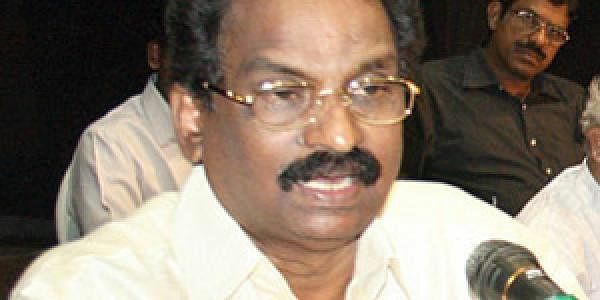 THIRUVANANTHAPURAM: Justifying the decision to hike delegate fee for International Film Festival of Kerala, Culture Affairs Minister A K Balan said the hiked fee of `2000 should be viewed as similar to a contribution made to Chief Minister’s Distress Relief fund. It should be viewed in such a way that they are contributing to CMDRF, with which people can watch festival movies as well,” he said at the organising committee meeting for the IFFK. A 101-member committee for the conduct of the festival is formed with Chief Minister Pinarayi Vijayan as the chief patron and minister A K Balan as the president of the festival. Balan said the delegate fee of Rs 2000 will be paid by everyone, including him, and added that students will be given concession at the rate of Rs 1,000. The organisers are expecting 12,000 delegates for the festival. “Even after the floods had rocked Japan and China, the film festivals were held. In Japan after the earthquake, festival was held. While roads and bridges can be reconstructed, broken minds cannot be constructed. The Chief Minister encouraged to go ahead with the festival with all the majesty and without diluting the content. However, the festival has to be conducted with delegate fee and sponsorships,” the minister said. Balan also said the cultural programmes will take place during the festival as there are groups who are willing to conduct the programmes for free. CMDRF boxes will be kept at all theatre venues as the government is expecting contributions. The minister said that IFFK is one among the 47 known film festivals across the world and that it has to be conducted with pride and majesty. Regarding the content of the festival, Balan said survival package will be there showing the resilience and will of survivors of calamities. There will be a Malayalam retrospective on director and Kerala State Film Development Corporation chairman Lenin Rajendran.